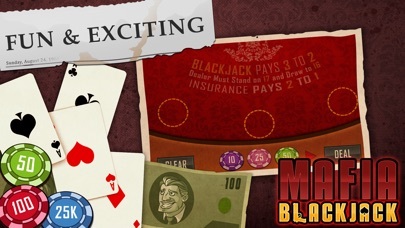 BLACKJACK - 21 - WIN BIG! 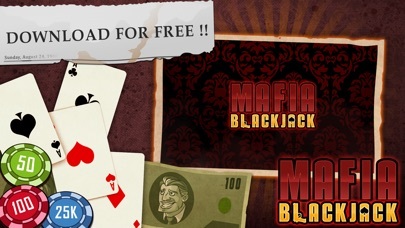 REAL MOBSTER GAMBLING FUN! Are you ready to get transported back to the wild 1920's and the good ole' mobster times?! 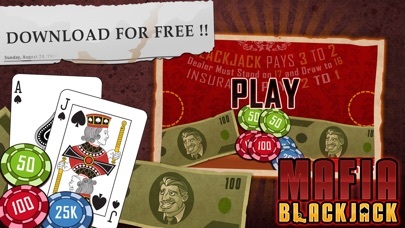 In this realistic Blackjack simulator you will get everything you ever want from a Blackjack game, in an awesome 1920's Mafia settings! 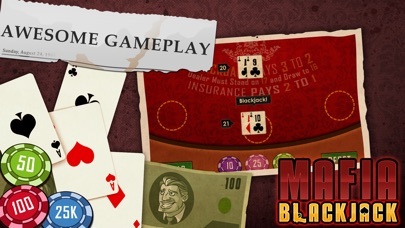 - AWESOME MOBSTER THEMES - REALISTIC ODDS - SPLIT & DOUBLE UP OPTIONS - INSURANCE? YES! NO! - FULL HD GRAPHICS - OPTIMIZED FOR IPHONE 6 AND 6 PLUS plus much much more! 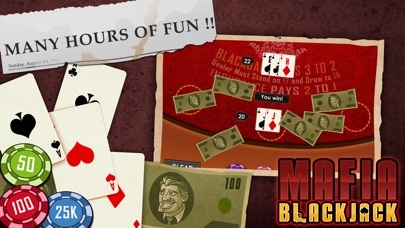 Download now and enjoy all the fun!